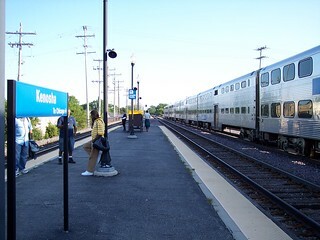 The station sits below the tracks. 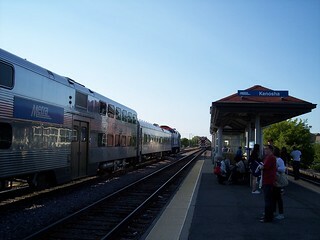 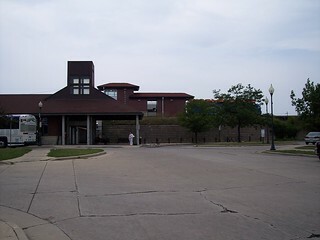 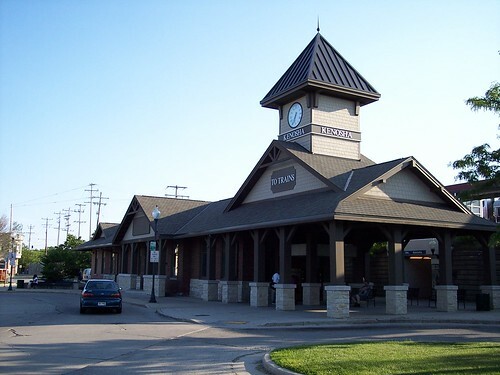 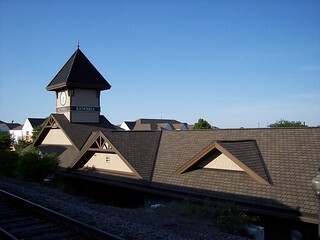 The Metra platform at Kenosha. 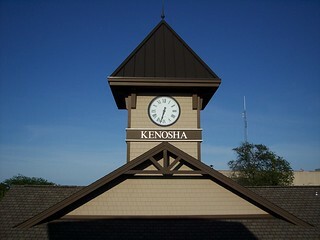 Apparently the station was remodeled. 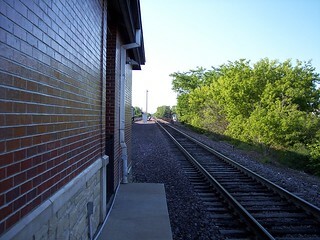 The photo on the right shows the station in 2009. 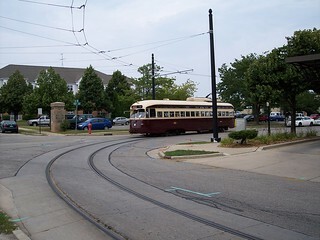 Our streetcar approaches and departs the station. 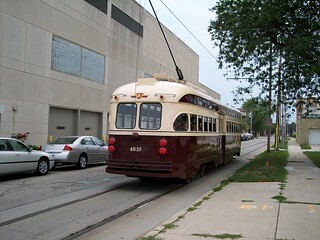 54th St. & 8th Ave. Kenosha Transit Electric Streetcar 56th St. & 11th Ave.